Literature as a source of inspiration for a song or album isn't an uncommon occurrence in metal. I'll provide a few examples that are barely enough to scratch the surface. Sometimes the idea for a blog post comes from the funniest place. As I was sitting in my Medieval and Renaissance Literature class today, my professor decided to pull up a painting of man that William Blake had illustrated. Challenging us, he asked us if we knew who it was, to which no one piped-up to answer. The man, Urizen, from William Blake's work, The Book of Urizen, had me think of "Gates of Urizen" from The Chemical Wedding (Bruce Dickinson). I'm not quite sure of the connection yet, but I'll be reading these works this summer. The Chemical Wedding is also home to "The Book of Thel," which is based off of William Blake's poem of the same name. Calling this song incredible would be an understatement. Iron Maiden are well known for basing their songs on literature. A number of tracks center on the subject, but this one is arguably the best of all, and the end-all epic for fans of heavy metal. This is one song that this post wouldn't be complete without: "The Rime of the Ancient Mariner," more specifically. 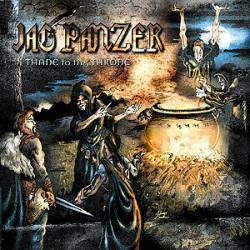 Heavy/power metallers Jag Panzer released an album in 2000 based on the The Tragedy of Macbeth. I've lent my copy of it to the same professor that showed my class the painting of Urizen, but I haven't gotten it back yet, so I'm assuming he's enjoying it. To be honest, it's a lot more fun listening to the story told though a metal epic than reading the play. I wanted to post the song "Bloody Crime," but it's not available on YouTube. Even so, this song below is just as good. I've included the lyrics as the track features dialogue between the Three Sisters, Macbeth, Lady Macbeth, and Macduff. 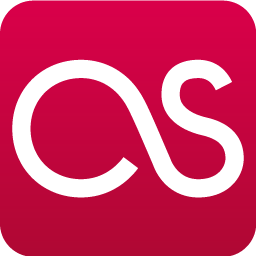 Click the link, scroll down to the song, and click "show lyrics." A fair amount of Blind Guardian's material is based around J.R.R. Tolkien's work like The Lord of the Rings. If you've ever read any of it, you'll know who the Noldor are. This track is from 1998. If had to choose my favorite death metal bands from the the subgenre's early rise to prominence, one pick would be Baphomet. The New York-based asct formed in 1987, played for a few years, and then released The Dead Shall Inherit in 1992. They didn't draw their influence from one piece of literature, but rather a collection. The record is based off of multiple horror stories from authors like H.P. Lovecraft.